Reviewing term sheets from investors can be time consuming and not a little confusing, especially for first time entrepreneurs who may have never seen one before. That puts them at a disadvantage against the investor. Across Europe, the picture is even more confusing. 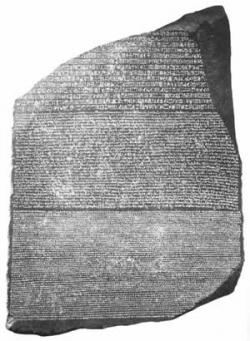 What we needed was a sort of Rosetta Stone term sheet. So today a group of 21 early European stage investors have decided, under the SeedSummit umbrella group, to standardise on two “reader-friendly” term sheet templates. One is being dubbed the SeedSummit Term Sheet and the other an Enterprise Investment Scheme (EIS) friendly variant, tailored for the UK market. See here. This is the first time European investors have co-operated in this way, on this scale. SeedSummit, a 50+ group which convened first in 2009, hopes that the benefits to startups will include reducing the time it takes to get deals done, reducing legal costs and greater transparency. They were inspired, they say, by the Series Seed docs of the USA. These stretch across the UK, Germany, France, Israel and Scandinavia, amongst many others. It’s a good idea, although it’s been a while coming. I heard tell of this being discussed way back in Dec 2009 and again this year, so it’s a shame it’s taken quite this long. Indeed, even little old Finland got it’s act together with it’s SeriesSeed.fi back in February. Passion Capital published its own term sheet three months ago. And StartupBootcamp just yesterday published their contracts on their blog. However, getting 15 investors to agree on standard documents is no mean feat and takes time. An additional question is why standardise on UK docs, when so many of the parties involved operate in home territories, like Tel Aviv, Germany etc? In other words, if this initiative is to work, entrepreneurs should consider these simplified terms first, before negotiations get deeper. One point though: We understand law firm Brown Rudnick in the UK, which usually works with investors, consulted on the drafting of the docs. This is great but it would be helpful if a law firm which usually represents startups also looked over the documents. Is this something to do with the ‘bubble’? Are they feeling heat from the accelerators? Do they need to up their PR game? Our sources say not, although the explosion of accelerators, increased industry transparency and the rise of sites like AngelList have all raised the heat in the game. However, it’s worth noting that there is no accelerator so far on board with this initiative. I asked StartupBootcamp and Springboard in the UK if they were invited to participate – they were not. SeedSummit told me they “hope they can join” the initiative soon. At any rate, this initiative is to be welcomed in reducing the confusion in the patchwork European eco-system.